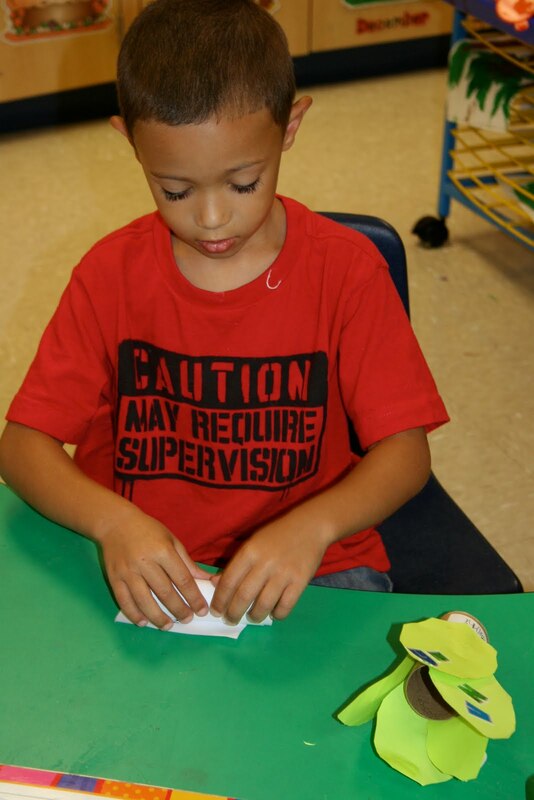 Mrs. Lee's Kindergarten: Chicka Chicka Boom Boom! This week our theme was Chicka Chicka Boom Boom! What a fun week, but busy it was especially after being our for Labor Day. The kids loved this story so much and wanted to hear it again and again. 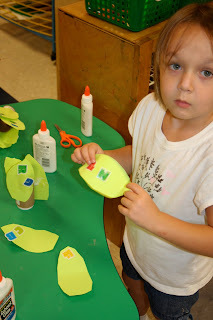 We did some fun activities during centers like stamping the alphabet in coconut trees. In math, we counted coconuts and matched them to the correct number tree. 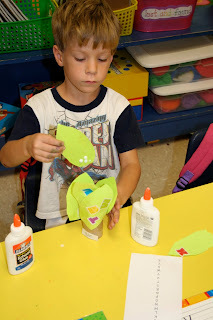 We also made Chicka Chicka Boom Boom AB patterns. Below are pictures of our cute toilet paper Chicka Chicka trees. We put letter stickers on the leaves of our trees. I thought they turned out so cute. Parents, inside those trees is a paper of the alphabet. Keep this handy and use it as a resource. Your child can pull it our and use it to practice their letters and sounds, and singing the alphabet while pointing to the correct letters.